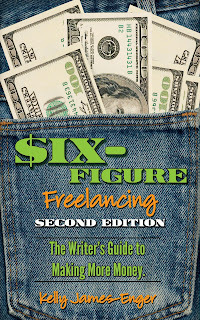 In 2005, Random House published my book, Six-Figure Freelancing: The Writer’s Guide to Making More Money. The book sold well, but eventually Random House let the book go out of print. I’d anticipated that and had been pressing the publisher to revert rights back to me—which it finally did at the end of 2012. I was thrilled at the prospect of being able to update and expand the book, and to publish it myself this time. Pursuing new markets. Early in my freelance career, I wrote almost exclusively for consumer print markets, and the original version of Six-Figure probably put too much emphasis on these publications. Today, I found that even writers like me who used to focus on print markets have branched out, whether they’re writing for websites, trade and custom magazines, or corporate clients—or a mix of all of the above. Diversifying. Smart freelancers don’t only diversify the types of markets they write for—they diversify their skills, too. Erik Sherman has done theater in the past, and now moderates Webcasts and live events for a number of clients. Wendy Helfenbaum, who is bilingual, does translation and adaption work for clients. Consistent marketing. Wendy Helfenbaum has three major clients, two of whom make up two-thirds of her income. “Mixing in corporate work has been by far the smartest decision I've made. I've worked for CN [Canadian National] since 2006, and have written hundreds and hundreds of stories for them,” she says. “I work mostly for CN's internal communications team, but now have done stuff for their marketing, recruitment and social media departments too.” She plans her schedule on the needs of her three big clients, but continues to reach out to other new markets. Social media savvy. Finally, the importance of social media cannot be overstated. When I started freelancing 16 years ago, there was no Facebook, LinkedIn, Google+, or Twitter. Now most serious freelancers use social media to at least some degree to network, nab assignments, and develop their platforms. In this competitive business, nothing is constant but change. Six-figure freelancers—and those who strive to be—are continually adapting to the market, and finding new ways to continue to find clients, nab assignments, and make money. You should be doing the same. **Want to be a six-figure freelancer—or at least make more money? 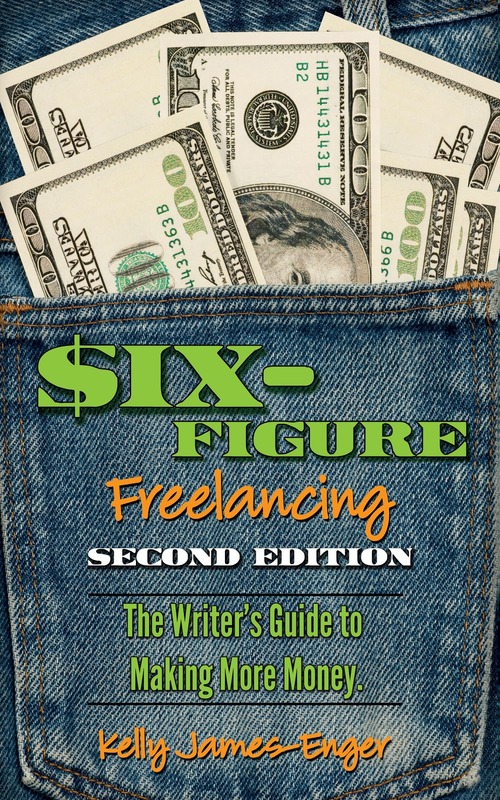 Six-Figure Freelancing: The Writer's Guide toMaking More Money, second edition is for you. The updated edition includes a new chapter on markets; a new chapter on writing books (including ghostwriting and coauthoring); new queries and templates; information about using social media to attract clients; and the latest advice from successful, six-figure freelancers. It retails for $19.95 and is available through any brick-and-mortar or online bookstore. You can also order copies directly through Improvise Press; use the discount code "IMPROVISEPRESS" (all caps/no breaks) when you order for 20% off of each book. In the course of my career, I’ve been a freelance writer and book author, a magazine editor, a book development editor for nonfiction, and, most recently, an acquisitions editor for fiction. Now that I’m a freelance writer again, I wanted to share some thoughts about why you may be getting rejections instead of the acceptances you’d much rather receive. 1. Quality of the submission. Since editors don’t want to get into a heated debate over your pitch or your manuscript, they’ll just reject a poorly written query with a “not right for us, thanks!”—that is, if they respond at all. The black hole of silence is often what greets submissions that just aren’t up to par. The problem is, perfectly good submissions can also get eaten by the black hole of nonresponse, so how can you tell which is which? If you’re getting mostly rejections or radio silence, it’s time to ask someone in the business for their opinion. Do this at arm's length—someone who isn’t published in your field can’t really help, and friends and family have too much invest in their relationship with you to be able to give it to you straight. Writers’ groups and online communities can help you understand where you’re not hitting the target. 2. Not a fit. When I acquired for a romance imprint, we got submissions for nonfiction books, children’s books, and the like. It didn’t matter how good they were, I wasn’t going to publish them. What a waste of everyone’s time. This is easy to fix—spend a small amount of time researching the outlet before you pitch! 3. Too similar to something we already have in the lineup. This is especially difficult at magazines that run a lot of information on the same topic. Women’s magazines always want articles on losing weight and saving money. So how is your article going to be different from all the others? Sometimes there just isn’t much you can do about this problem. I once acquired a novel about a woman who was turned into a black Lab by a witch and not a month later got a submission from another writer about a woman who ... you got it. Now, what are the odds? And even though the second book was different from the first, it was too similar for me to acquire. There’s not much you can do about this problem except pitchanother outlet. Fortunately, if your work is otherwise solid, the editor will often explain this reason for a turn-down, and then you can know what to do. 4. Coming across as a prima donna or a pain to work with. If your pitch letter comes along with demands (“I expect an answer by Friday”) or you sound otherwise unprofessional (“I’ve never done this before so don’t really know what I’m doing ....”), that’s going to be a ticket to nowhere. Make sure your interactions with editors are friendly but professional. 5. Not being flexible. When I worked at a custom publication, I’d get queries from people who had good writing skills but didn’t quite understand that at a custom publication, the client calls the shots. So I would sometimes respond to a query with, “I like this idea, but we’d need to take this approach,” only to have the writer withdraw the pitch in a huff. An editor who suggests a different approach is trying to help you succeed. Don’t respond with a knee-jerk reaction. Think about what is being said and recognize that such flexibility is crucial to a successful freelance career. Thanks, Jennifer, for this insightful post! Lawler runs www.BeYourOwnBookDoctor.com and offers classes for fiction and nonfiction writers, including two classes coming in June. If you have questions for her, comment here and I'll ask her to answer them. Find this blog helpful? How about a whole book's worth of advice? Check out Six-Figure Freelancing: The Writer's Guide to Making More Money, second edition, and Dollars and Deadlines: Make Money Writing Articles for Print and Online Markets. Use the discount code, IMPROVISEPRESS (all caps, no breaks) for 20 percent off of your order. Why It's Good to Be Steven...And What's YOUR Burning Question? Because he won my latest giveaway! A complimentary copy of Chicken Soup for the Soul: Inspiration for Writers is on its way to him as we speak. Thanks to all who participated, and bought copies of Six-Figure Freelancing: The Writer's Guide to Making More Money, second edition, and Dollars and Deadlines: Make Money Writing Articles for Print and Online Markets. They're selling steadily and I appreciate the support for my new business. So, what question would you like to ask about freelancing? If you have a burning question you'd like me to answer--whether it's about money or contacting sources or time management or marketing techniques or anything else related to making money as a freelance writer, post it here. I'll be answering readers' questions in the coming weeks, so here's your chance! I Need More Stevens...and Only Six More Days for the Giveaway! "Are you going to have any of your other writing books on your site? I recently bought Dollars and Deadlines, Six Figure Freelancing, and Ready, Aim, Specialize before I knew about you selling your books on your site. I will probably buy Writer for Hire and Goodbye Byline, Hello Big Bucks on next unless you are bringing them out on your site any time soon. What I have read of the 3 books I mentioned previously, I have found very helpful. [my emphasis] They were actually a birthday present--my wife asked me wanted and she ordered them for me. I enjoy reading your artcles also because you make things easy to understand. Thank you." I got back in touch with Steven to let him know I did have a few copies of Writer for Hire and Goodbye Byline in my office. (We authors tend to have extras!) I promptly thanked him, and sold them to him, signing them per his request. And I told him to get in touch with future freelance questions. Steven now has all FIVE of my books on freelancing. And I realized, I need more Stevens. No, you don't have to buy all five books (though personally I think Six-Figure Freelancing is the best book I've ever written on successful freelancing), but if you follow this blog, or turn to it when you're looking for proven, practical freelance advice, I hope you'll consider getting an entire book's worth of advice. You don't have to be Steven, but you can be a more successful freelancer if you follow the advice in my books. 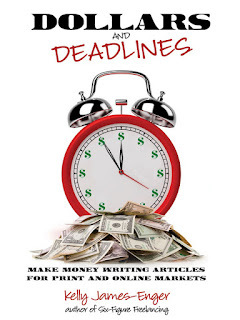 If you want the print edition of Dollars and Deadlines: Make Money Writing Articles for Print and Online Markets, or Six-Figure Freelancing: The Writer's Guide to Making More Money, Second Edition, don't wait. (Prefer an electronic edition. Here's the Dollars Kindle edition and Six-Figure Freelancing Kindle edition; if you don't have a Kindle, you'll find Smashwords editions of Dollars and Six-Figure here. Buy either (or both!) book by Monday, May 20 directly from my new company, Improvise Press, and you'll have a chance to win a FREE copy of Chicken Soup for the Soul Inspiration for Writers. It's chockfull of 101 motivational stories by both budding and bestselling writers that will help keep you in the game. And remember to use the discount code, IMPROVISEPRESS (all caps/no breaks) for 20% off of your order, which makes it cheaper than buying from Amazon. The discount is only available for a limited time when you buy directly from ImprovisePress. All-rights contract: Contract where the publication purchases all rights to a piece, preventing you from reprinting it or making any additional money from it in the future. All-rights contracts are becoming the industry standard, but you can sometimes negotiate changes to them. (I have a whole chapter on contracts in Dollars and Deadlines: Make Money Writing Articles for Print and Online Markets.) See work-for-hire. Backup: The material you submit with a piece so that it can be fact-checked. This includes names and contact information for sources, links to online material, and copies of journal articles you cite or mention in a piece. See fact-checking. Clips: Short for clippings and refers to when writers actually cut their pieces out of newspapers or magazines. Refers to published samples of work, whether in print or online. FOB: "Front of book," or the section of the publication that includes shorter, often news-driven items. A great place for new writers to break in. LOI: Letter of introduction. Another way to pitch a market; this focuses more on your background and experience than on pitching a particular idea the way you do with a query. On acceptance: a payment term that means you'll be paid when the story is accepted. See on publication. On publication: a payment term that means you'll be paid when the piece is published. Freelancers prefer to be paid on acceptance, because you can't control when a piece will appear in print or online--or even if it's published yet. On speculation: When an editor is willing to look at a piece you submit, but doesn't offer you a formal assignment. (See "on assignment.") Editors often ask inexperienced writers to write "on spec" as they're unproven, and this can be a great way to get your foot in the door if you're short on clips or experience. Query/query letter: A query or query letter is used to pitch an idea to a market. You can also "query" as a verb, as in "I queried her three weeks ago and just got a response." TK: a publishing term that means "to come." If an editor asks you to TK something, it means you need to double-check it or add missing information. I use TK when I'm writing a draft to remind myself that I need to fix or clean up a particular section or word. Work-for-hire: While legally different than an all-rights contract (technically only an employee can sign a work-for-hire agreement), it's a term for a contract that purchases all rights to a piece from the writer. **Got a publishing term or question for me? Email me at kelly at become body wise dot com or post a comment here and I'll be happy to answer! **Don't forget about my giveaway! Have you been meaning to buy the print edition of Dollars and Deadlines: Make Money Writing Articles for Print and Online Markets, or Six-Figure Freelancing: The Writer's Guide to Making More Money, Second Edition, but been putting it off? Make today the day. Buy either (or both!) book directly from my new company, Improvise Press, and you'll have a chance to win a FREE copy of Chicken Soup for the Soul Inspiration for Writers. It's chockfull of 101 motivational stories by both budding and bestselling writers that will help keep you in the game. Inspiration Giveaway--and "On Spec" Versus "On Assignment"
Yet I do make time for what I call "projects of the heart." I write essays occasionally and hope that I'll be able to sell them, and when I do place one, I'm thrilled. I don't always know that I'll be able to sell an essay, but writing them lets me express myself and write in my own voice, not that of a client or market. It's a bonus when I sell one and see it published. Years ago, I wrote a essay on writer's block that I sold to The Writer; it was reprinted in the ASJA Monthly. I forgot about the piece until last year, when I saw that Chicken Soup for the Soul Inspiration for Writers was soliciting submissions. I sent it in, and forgot about it again--until I learned that it had been selected for publication. The book just came out. Now I've got another check and another credit--plus a few complimentary copies I can pass on to readers. So I'm doing another giveaway! Have you been meaning to buy the print edition of Dollars and Deadlines: Make Money Writing Articles for Print and Online Markets, or Six-Figure Freelancing: The Writer's Guide to Making More Money, Second Edition, but been putting it off? Make today the day. Buy either (or both!) book for the next few days directly from my new company, Improvise Press, and you'll have a chance to win a FREE copy of Chicken Soup for the Soul Inspiration for Writers. It's chockfull of 101 motivational stories by both budding and bestselling writers that will help keep you in the game. **My mention of "on spec" versus "on assignment" made me realize I'm due for a post on some publishing terms every writer should know. Stay tuned!